40 Year Drop In Law School Means Rise of Law Office Study? Written by Michael Ehline on August 4, 2014 . Posted in Law Office Study Program. Karl Marx, prior to the bloody red terror, referenced lawyers who supported his socialist revolution as “Useful Idiots.” Presently, the majority of senators and congressmen are attorneys. It seems throughout history, everywhere there are lawyers, there is a wake of popular contempt that is sure to follow. Is the downward trend of lawyerly influence continuing? Modernly, many people simply loathe attorneys, thinking of them as “jerks”, “out of touch”, and “pompous.” In California, it seems that there is a lawyer everywhere. But lawyer jokes may soon be fewer, due to a new educational trend. With the California economy is in shambles, gas prices outrageously high, and businesses fleeing the state to business friendly states like Texas, my personal injury law firm in particular, is seeing less and less accident and injuries on the roads, as well as work place and premises injuries. What that means to tort lawyers, is that there are less people to sue. To some personal injury defense firms, it seems that there is no one left to defend, or far less people to answer for in any event. I bet they are not so vocal about “tort reform” now. Let’s face it, producers are leaving California and people on welfare and public assistance are coming in droves. Few ever leave. Why would they? They have no earned income to speak of in most cases, so for firms like mine, even when non-producers are injured, the jury damages award sometimes can be less than the costs of the case, especially with the modern trend of passing more and more the once public costs, to the private parties. But the trickle down effect of California’s tax, borrow and spend economy touches legal advocates especially hard. For example, less cars and goods being sold means less contract lawyers needed, less elder law due to reloacted facilities, and death cases means less of a need for probate lawyers who have less conservatorships to set up. It can also mean less need for criminal defense attorneys who have less DUI after work offenses to plea bargain. It goes without saying that the ability for lawyers to hire paralegals, legal assistants and so on has been greatly diminished in this failed economy. One of the biggest beneficiaries of a strong, business friendly economy are the ABA and Cal Bar Certified law schools. With the endless and easy to obtain grants and loans they can broker for their students, comes big bucks for personal prestige, nice cars, houses and job security for their staffers. But now law school applications have been dropping steadily with the amount decreasing by approximately a whopping 37 percent, since 2010 according to statistics by the Law School Admission Council. The experts opine that this decrease equates to about 38,000 people entering law school this year, which is the smallest group of law students to enter American Bar Association accredited law schools in years. The graduates that were entering law school in 2010 totaled 52,488 for their first year. There is no end in sight thus far. A recent ABA article (See infra. ), claims that nationally, law schools were hoping this year would be an end to the decline have been unpleasantly surprised, since the amount of applications continues to decline. Thus far, there are no data statistics that gave me any indication the decrease in law students will be over anytime soon. The downward trend is continuing with declining applications and admissions into law schools and will add to the disappointing statistical data from past years. This obviously can not be good to the “system”. To me, the cause and effect is clear and outlined above. The average law school debt in California is well over $100,000.00! What person in their right minds would want to try being a lawyer with that significant debt and debt service burden in an economy like ours? Well, actually, how about someone who is not laden with debt? 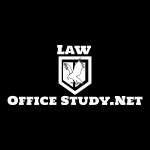 As discussed on this blog, Law Office Study (“LOSP”) is not for everyone, but for highly disciplined people, such as USMC veterans, those who had responsible mentors and parents, and the like, studying law in a law office for 4 years has huge benefits. 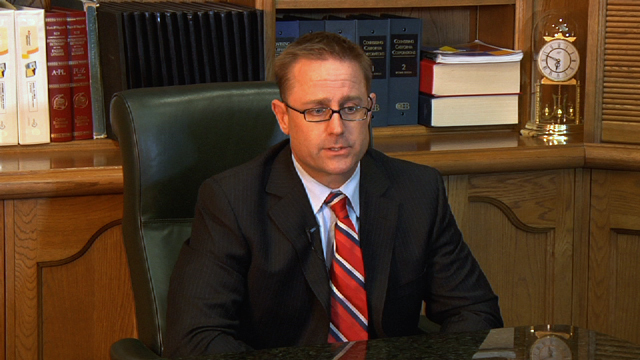 The number one benefit of the LOSP is the fact that you pay your way with your time, and the supervising attorney donates his or her time instructing you. As a Certified Law Student, you can also act as second chair in civil trials, and first chair in criminal cases for the prosecutor. Heck, you can even extern for a judge or justice. Not having $180,000.00 in debt means you can probably start your own practice. And why not, you just spent 4 years actually doing pleadings, legal research, learning how to use Word and Word Perfect, propounding and responding to discovery and so on. Of course, your supervising attorney, who will be at your swearing in may have to say a thing our two like “partner”, “associate” etc. I know I would not be in any hurry to lose a student that I had trained in the ways of the force. At the very least, I would hire him or her to do depositions and appearances and I would make sure my fellow attorneys provided odd jobs to my former student. Not having the huge debt, coupled with the law office experience places LOSP grads at the top of the food chain for firms less concerned about image, and more concerned about “bottom line.” Of course, not having a grad from a prestigious law school who can’t even use Word Perfect dictating things and demanding a private assistant, is also beneficial. At the end of the day, “schools” are a recent phenomenon, and also have a huge political reprogramming effect on the impressionable young kids entering the law classroom for the very first time. I saw many middle of the road thinkers enter law schools, and leave as the very “useful idiots” that Marx spoke of. In an independent study program, lawyers are focused on teaching students how to analyze and deduce. In other words LOSP grads were taught how to think, not what to think. With the peer pressure and political leaning of professors removed, the student is free to focus on learning black letter law, and how to behave like a real lawyer. Even in a bad economy, the LOSP grad is at a tremendous advantage.